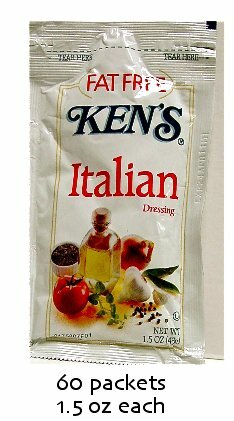 Kens Fat Free Italian Dressing (Case of 60) - Be Happy Dieting! 1.5 oz in individually sealed single serving pouch. Case of 60 pouches.